Big Car Collaborative and the Indianapolis Motor Speedway teamed up to commission an art exhibit, The People’s 500 ahead of the 100 Running of the Indianapolis 500 from interdisciplinary artist Jesse Sugarmann. One hundred Hoosier applicants contributed to the project by being interviewed, driving a pace car around the famed IMS 2.5-mile oval and completing 500 laps in October of 2015. On May 6, the resulting exhibit opens as the first show in the gallery at our new Tube Factory artspace. Get more details here. 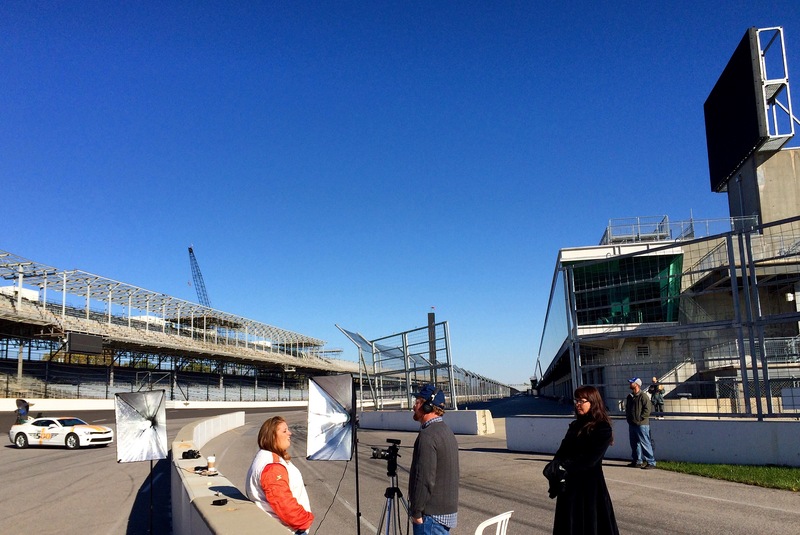 The personal experiences captured in video and photography by Sugarmann will be used to construct an oral history of the Indianapolis Motor Speedway and investigate its role as a living monument. See pictures from the driving day here. Big Car co-founder Shauta Marsh is curator of this exhibition. Sugarmann is an interdisciplinary artist working in video, photography, and sculpture. His work has been exhibited both nationally and internationally in venues such as the Getty Institute, Los Angeles; el Museo Tamayo, Mexico City; the Portland Institute for Contemporary Art, Oregon; the Banff Center, Canada; el Museo de Arte Moderno de Santander, Spain; and both the Paris and Berlin installations of Les Recontres Internationales. Jesse’s work has been written about in publications including ArtForum, Art Papers, ART LTD, Art Cards, Art Car Nation, Frieze Magazine and The New York Times. Jesse lives and works in Bakersfield, California. You can learn more about his work at www.jessesugarmann.com. Established in 1909, the Indianapolis Motor Speedway is the world’s largest spectator sporting facility and has long prevailed as an icon of motorsports excellence. After celebrating its Centennial Era in 2009-11, IMS and racing fans now look forward to the 100th Running of the Indianapolis 500 Mile Race this year. In 2016, get ready for an unprecedented celebration of the human pursuit of progress as the world’s eyes turn toward the Speedway. For more information, visit indianapolismotorspeedway.com.